It was a high energy night. People laughed, sipped wine or water, and talked to someone new. The galleries were packed and there was plenty to look at. Abstraction, landscape, portraiture and conceptual art were all in attendance. So were works by up-and-coming Long Island artists. Art by international artists were represented. So were artists from around the country. So goes Art Night on the Town in Oyster Bay. Held the first Thursday night of each month from 7pm to 9pm, area galleries and businesses link with an art school and other venues to put visual art in the spotlight. There are exhibition openings, artist discussions and demonstrations, and special restaurant deals. Most of the festivities are within walking distance or a short drive making venue hopping easy. Anchoring the event are three art galleries and an art school. The galleries are the Chase Edwards Gallery; Atelier Studio/Fine Arts and Art (that matters). The art school is The Teaching Studios of Art. 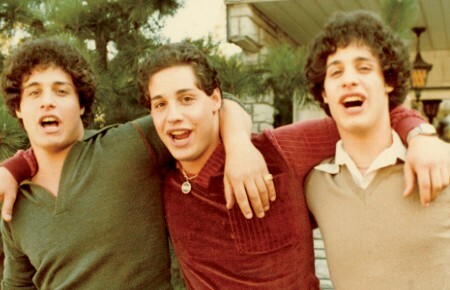 Each captures a different slice of the Long Island art world. The Teaching Studios of Art focuses on traditional painting and drawing techniques. The Chase Edwards Gallery presents contemporary art. Artists range from emerging to established. Changing exhibitions feature a range of styles and artists that visitors may enjoy discovering. 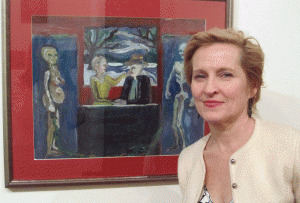 The gallery’s director and founder, Bonnie Elizabeth Boisits, launched Art Night in January. 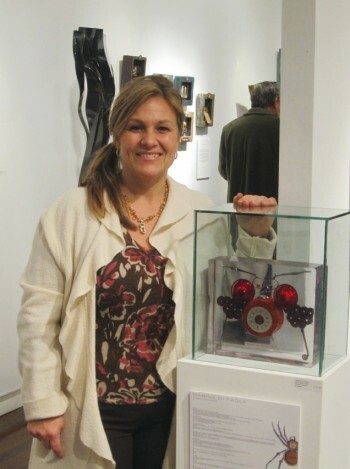 An experienced gallery owner, Ms. Boisits has held galleries in Laguna Beach, California, Maui, Hawaii, Nantucket, Massachusetts and other places. Her experiences in art towns showed her the power when businesses band together to celebrate culture, she said. 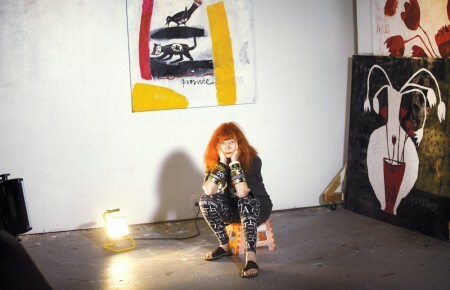 After recently moving back to her hometown of Oyster Bay, Ms. Boisits decided to rally the new art scene that was beginning to bubble. Chase Edwards Gallery and Atelier Studio/Fine Arts both opened in fall 2009. Art (that matters) opened around two years ago. Atelier Studio/Fine Arts is a blend of a public gallery and the working artist studio (atelier) of Jerelyn Hanrahan. Like Ms. Boisits, Ms. Hanrahan felt a recent pull to return to her hometown of Oyster Bay. She moved from Spain and quickly opened her studio/gallery. The front half is an exhibition and office area. The other half is Ms. Hanrahan’s atelier where works in progress move from conception to completion. Currently, she’s working on a 40-foot public sculpture for Oyster Bay titled Graduated Pearls. Installation is planned by the fall. 2010 also brings a slew of exhibitions from around the world. Besides her own work, Ms. Hanrahan is a member of the international art group, N7, which develops contemporary art projects. Art (that matters) is an arts collective. Their focus is fostering member artists through encouragement to take creative risks and provide a supportive atmosphere for discovery. The gallery hosts a monthly Women’s Group and a Life Drawing class. Gallery exhibitions are held and emphasize works by collective members. 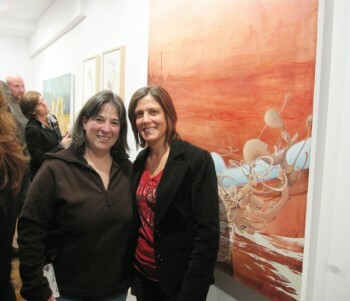 Founders of each gallery expressed excitement and gratitude that Oyster Bay’s art scene is starting to gain attention. During Art Night, crowds pack the galleries and art is being sold. In the hamlet, new friendships are being made. Overall, it seems Art Night is proving success can be had when galleries band together. Art Night on the Town is held the first Thursday of every month from 7pm to 9pm. For information, contact the Chase Edwards Gallery at (516) 802-0655 or visit chaseedwardsgallery.com. Information can also be found at inoysterbay.blogspot.com. Event maps are available in Oyster Bay galleries and businesses.